Welcome to a series of posts that are dedicated to going beyond the shine of technology by examining ways to use digital tools to engage students in real learning. In this third post you will discover how careful examination of the verbs in a standard can help you find resources to assist in proper technology integration. You may want to click on the link below to the first and second posts of this series. In this post I would like to investigate how examining the verbs in curricular standards can help teachers investigate ways to integrate technology to promote curricular content understanding. It all begins with something that has been around for quite a while. In the last post I examined how finding the nouns in a standard will help identify important content that student must become familiar with. Technology allows the 21st century classroom to use this awareness of the nouns to connect with free resources on the internet known as OER (Open Education Resources). Feel free to read about 25 of these amazing resources from the last post. While the nouns point out the content, it is the verbs that bring meaning and deeper learning to the standards. Let’s talk a closer look at what new action these verbs bring to learning. I provided five steps in the first post which you can read about in a little further depth here. The point of emphasis for this article is step number four below. Determine the content by reviewing the standard and circling the appropriate nouns. Investigate the skills by reviewing the standard and circling the appropriate verbs. Create Learning Targets demonstrating what students will be able to do. In the first post of this series I provided the following standards and listed the verbs I thought might be important. I have provided those example standards and the relevant verbs below. Students will be able to research and record key facts involving the planets of the solar system. Students will explain orbit, gravity, and gravitational pull. By examining the appropriate verbs in the standard it is possible to identify important skills and processes that students should learn about and demonstrate competency of. This allows learning to go beyond Bloom’s basic level of remembering. The verbs found in the curriculum standards promote the 4 C’s (communication, collaboration, creativity, and critical thinking) along with Bloom’s higher levels, (understanding, analyzing, evaluating, and creating). By identifying the verbs found in the standards it is possible for an educator to discover and implement free interactive resources that can be found on the web. 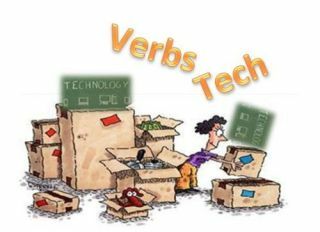 An examination of the verbs found in standards provides the following possibilities for the integration of technology in today’s technology rich classroom. Kathy Beck’s Blooms Digital Web Tools – Blooms and technology integrated and interactive. Kathy Schrock’s Web 2.0 – Includes regular web 2.0 tools, iPad apps, and droid apps. Andrew Church’s Educational Oragami �� Great Web 2.0 resources and explanations. The Padagogy Wheel – Great interactive tool with special emphasis on the iPad. Appolearning– Great Web Site that match iPad Apps to learning at all levels. As you can see, the standards are an important part of technology integration. As educators examine the many relevant nouns and verbs found in the standards they are able to focus on real learning. It is this focus that allows today’s 21st century classroom to go beyond the technology shine!